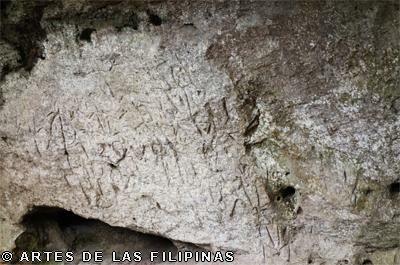 The Angono Petroglyph is a recent archeological breakthrough during the 80’s found in the mountainside of Angono and Binangonan by Carlo “Botong” Francisco. It is a stylized anthropomorphic and zoomorphic forms etched on the rock shelter. In the cave, you will see the different carvings of the tribes settling in this cavern. It is said to be the oldest, known art carvings found in caves in the Philippines. Dated approximately 1000 years B.C. Originally, there were 127 engravings of human and animal figures in stick forms but due to negligence and vandalism of visitors, some rock carvings have disappeared. The conservation and site development of the petroglyph was supported by the World Monument Watch Fund and the Department of Tourism. Since then, the NationalMuseum was in-charge of the day–to-day operations of the famous petroglyph. Through the years it is said that the rock formation was described as fairly stable, however, continuous monitoring and documentation was recommended in order to establish the rate of deterioration due to the micro-environmental change at the site. Many years ago, it was believed that there was a language barrier and the only form of communication is through the use of symbols. Symbolisms and figures are used to convey what our ancestors think and feel as part of their everyday life. Carving those symbols was also their means of recording their data and activities in their lives such as the celebration of birth, feast and death. Through the years, the cavemen may have migrated from one place to another. But studies have shown that intermarriages took place with other tribesmen that resulted to the exchange of different skills and abilities. 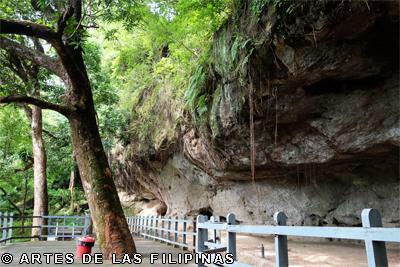 The petroglyph cave is near Laguna, Binangonan and Angono, Rizal—cities and towns known to be havens of artistry and wood carvings. The love for their craft could possibly be the connection linking the Rizalenos and the Laguenos together and they have their works of art to prove it. Some of them might even be descendants of the original cavemen who made these cities excel in the field of art. It has also become a major factor as to why a number of industries ranging from micro- cottage to large scale and heavy manufacturing industries are proliferating in the area. 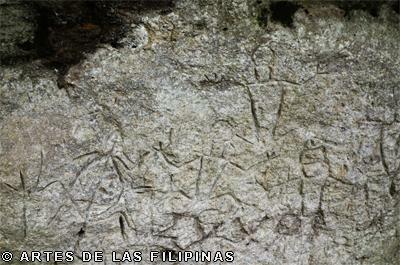 The petroglyph is indeed a national treasure that Filipinos should be proud of. I am certain that there are more wonders in our country that are still waiting to be discovered. I found one in Angono.